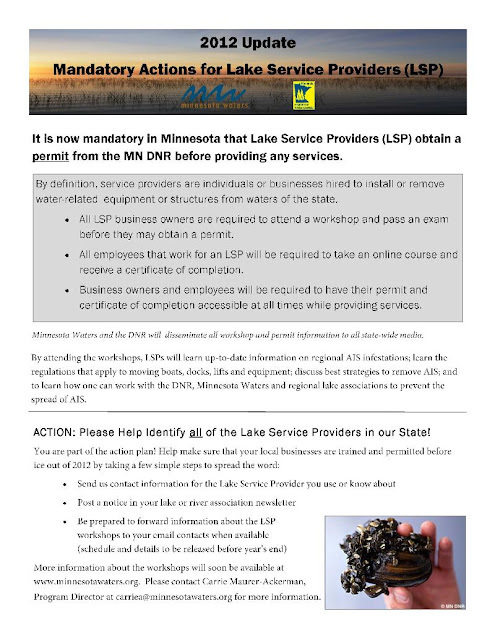 The following email from Minnesota Waters was forwarded to us as a reminder for everyone about the permits required by our lake service providers. We posted about this with extensive information back in August and some of the information there may be clearer. This is the link to that post: Your Lake Service Provider Needs a Permit.